Our engines’ll be running hotter than a boiling kettle as we celebrate the flight of our Fall 2017 issue with our 17th reading! Wednesday night, September 27, 7-9 PM at the always-hospitable Pacific Standard, 82 Fourth Avenue in Brooklyn. 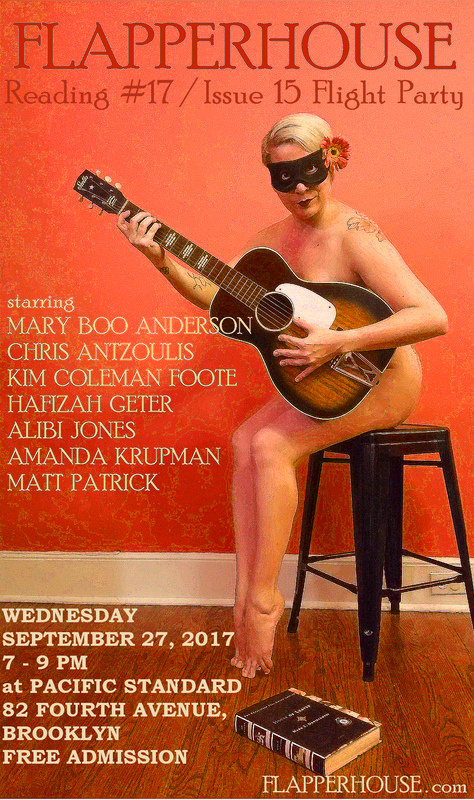 Admission is FREE, and you can buy copies of FLAPPERHOUSE #15 for the special reading price of $5.